Can I Represent My Own Workers Comp Case? 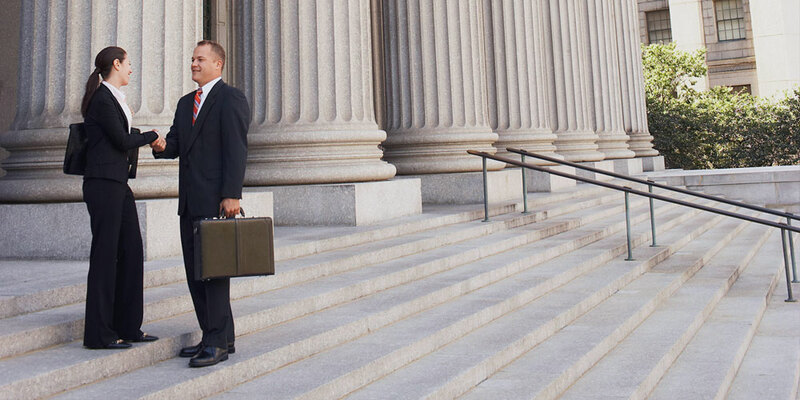 Are you curious whether you even need an attorney at all to represent your case? The fact is, you may be able to successfully represent yourself without needing a workers comp lawyer. Many people take this route every year—but there is a catch. Most people who go down the path of self-representation do so for a handful of reasons, which have to do with their injury’s severity and how much their employer decides to cooperate. You don’t have a pre-existing condition. Your injury was relatively minor (a small cut or sprained wrist). Your injury required you to miss very little work—or none at all. Your employer willingly admits your injury happened at work, and is work-related. I say it’s important to hit all of these criteria, and I mean all of them. I’ve seen so many heartbreaking cases of workers choosing self-representation when they don’t have an airtight case. Failing to meet just one of these criteria means your employer’s insurance company can and will find a loophole that lets them off the hook. That means you’re stuck high and dry footing those medical bills, which isn’t pretty—or fair. But let’s say you don’t have a rock-solid case, and self-representation isn’t an option. When should you seek professional help? 1. Your employer flat-out denies your workers comp claim, OR your benefits are delayed/never show up. This might surprise you, but insurance companies regularly deny real, honest-to-goodness workers comp claims every day. And why do they do that? Because they know the game, and they realize many of these denied workers just won’t appeal the claim—they’ll accept the denial and pay for healthcare out of pocket, wanting to avoid the hassle. And you know what? They’re right. A majority of people who are denied just give up—but a workers comp lawyer has no up-front cost, but a huge upside once those well-deserved benefits start rolling in. 2. You’re facing retaliation from your employer for filing a claim. Ridiculous when you think about it, but it happens—demotions, reduced pay, cut hours, shaming, harassment, bullying, and in extreme cases even termination can be direct consequences of filing a workers comp claim. If you’re facing unfair treatment from your boss because of your injury, you need a workers comp lawyer ASAP. 3. You’re getting Social Security disability benefits. Poorly structured workers compensation claims could cause a huge portion of your benefits to be leeched away by Social Security. The best lawyers know exactly how to minimize or totally offset this deduction. 4. Your initial settlement offer only covers part of your medical expenses. Although a workers comp settlement is overseen by a judge, most judges will sign off on any settlement that isn’t criminally unfair to you—meaning you’re probably leaving a lot of money on the table. Great workers comp attorneys know exactly how much money you need to cover all of your expenses, not just some of them. 5. Your injuries leave you unable to return to work, or any other job. People who suffered permanent (total or partial) disability due to a work-related injury could be entitled to weekly or lump sum payments to cover lost wages. As you can imagine, these payments are extremely costly to insurance companies, so they’ll fight you to the bitter end in order to not pay them. If you’ve become disabled, hiring an experienced lawyer is vital to ensure you’re being paid every penny of what you’re owed. Workers compensation attorneys are trained to precisely identify the “worth” of your case, determining how much money you’re entitled to and formulating a plan to get that money. They’ll also work closely with you to ensure you get the right medical evidence to support your case, rather than relying on the opinions of an initial medical evaluation on the insurance company’s behalf. Plus, you have to understand that the workers comp system no longer acts as a safety net for injured workers. It’s tilted to the benefit of employers and insurance companies, who employ vast networks of high-paid lawyers for the express purpose of denying your claim. Ultimately, whether you choose to self-represent or hire a legal expert is up to you. However, if your case involves any sort of complexities, I urge you to seek professional assistance. Missing out on huge amounts of money you need to recover just isn’t worth it. So if you’d like a 100% honest evaluation of whether you need an attorney or not, get in touch right now for a free case evaluation.